Cobra Gold is an Asia-Pacific military exercise. Cobra Gold was first held in 1982. It served as military training exercise to improve coordination between the armed forces of the United States and Thailand in both hostile military and humanitarian efforts. It also had the goal of strengthening ties between the U.S. and Thailand, the oldest ally of the United States in the South Asia region.More recently, Cobra Gold has served a humanitarian mission, as military personnel deliver health care to the local Thai population, and as a testing ground for new battlefield technologies such as solar powered weaponry. 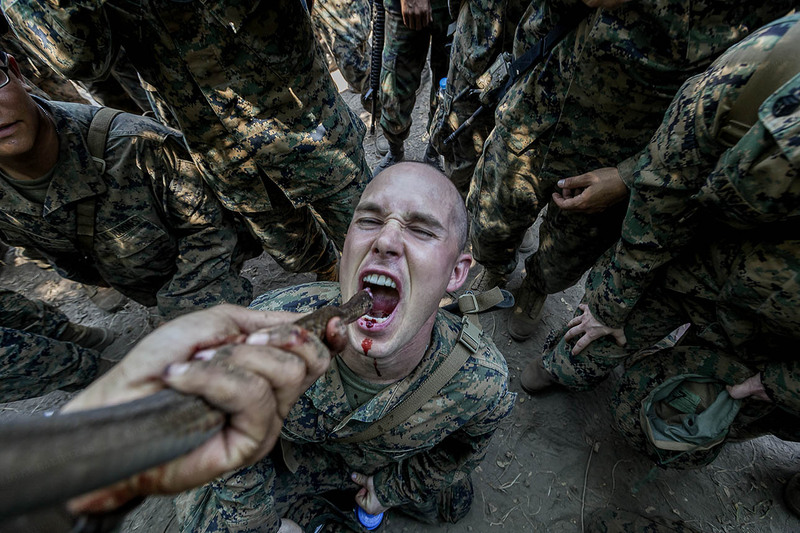 The American Marines are trained by the Thai army to survive in the junga and have used any resource for that purpose, both the use of plants, insects or animals. Although the moment expected by all is when the blood of snakes is used, it charges to drink drinking it.